This post was written by NCTE member R. Joseph Rodríguez. 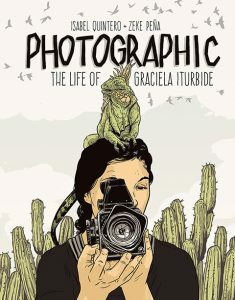 Across the country, young adult (YA) literature is a growing field in publica­tion, research, and teaching, and includes youth and adolescent studies, literary criticism, and literacy education. In the search for a balance between the classics and contemporary classics, educators and scholars seek literary works that speak to the lives of adolescents ages 12–20. The adolescent protagonists and characters young people meet in these books help them cope with dilemmas and make sense of their relationships and their world, by shedding light both on experiences that resonate with and experiences that differ from their own. The search for YA literary works such as those listed above can be revealing when it comes to questions about characters’ identity markers and portrayals and the authors who write the books. In fact, character and identity portrayals can support adoles­cent readers and their abilities when they meet a strong, believable character with whom they can relate. Photo courtesy of Routledge, an imprint of the Taylor & Francis Group. Moreover, the literary works educators select can sustain the everyday interests of students as they build trust while read­ing and are transported to other times, similar or new dilemmas, timeless joys, and geographic spaces and back again, as they come of age. These were guiding signposts for my writing the book Teaching Culturally Sustaining and Inclusive Young Adult Literature: Critical Perspectives and Conversations. I began writing the book in 2014 when I interviewed Benjamin Alire Sáenz in El Paso, Texas. Many moments were exhilarating while writing the book, especially meeting YA literature authors whose conversations revealed their own adolescent and adult lives and their decision to write the unspoken stories and truths faced by young people of all backgrounds and colors. The connections made to authors’ lives and purpose for writing opened our dialogue on authorship, represen­tation, and cultural knowledge. Literary history and research on literature for young adults often positions the novel The Outsiders by S. E. Hinton as a seminal text and signpost to situate YA literary works in American letters, and as a literary work that continues to be banned and challenged across the United States. From its debut in 1967 to the present, the novel’s trajectory includes cinema and stage adaptations that also extend to a recent reissue of the novel. In the author’s note found in the 50th anniversary edition, Hinton explains, “Apparently feeling like an ‘outsider’ even in your own group is universal. ‘Us versus them’ and ‘let’s understand each other, not hate each other’ are concepts everyone—no matter how old—can grasp” (paragraph 7). Hinton’s perspective applies to the world of reinterpreting canonical works educators and researchers are rethinking and repositioning in middle school and high school classrooms across the country for adolescent readers. The drive to challenge social norms and even to dispel myths about adolescence applies to many YA literature novels, which present protagonists searching for meaning about themselves in civic communities, community schools, and desegregation busing schools. The essential questions young people face in the greater world of the bildungsroman, or coming-of-age novel, can be noted as follows: Who am I? How can I belong or be me? What’s next? When does change happen? Why did this happen to me or us? Where am I meant to be? We Need Diverse Books, which was founded as a movement at BookCon in 2014, ushered new voices and representation—and even repositioning and reinterpreting—of works deemed as “classics” and “contemporary classics” for a young adult readership to reflect all Americans in editorial, publishing, and readership spaces. 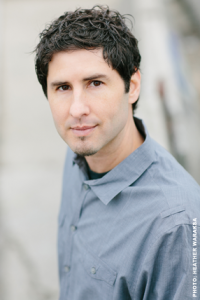 YA literature author Matt de la Peña. Photo: Heather Waraksa, 2016. In his Newbery Medal Acceptance Speech, Matt de la Peña described the outsider roles often faced by both authors and readers alike in the making of stories for US readers: “And sometimes when you grow up outside the reach of the American Dream, you’re in a better position to record the truth. That we don’t all operate under the same set of rules. That our stories aren’t all assigned the same value in the eyes of decision makers” (2). Reinterpreting also calls for repositioning as one reads to experience points of view that challenge mindsets and values that can either hinder or support learning to create new knowledge. If a literary conversation or our own teaching privileges an exclusive literary canon over another, significant literary works can be overlooked if intentional inclusion and a wider net are not considered. As readers, teachers, and teacher educators, we set the stage for our colleagues, students, and profession by valuing the inclusive YA literature contributions by US writers of diverse cultural and linguistic backgrounds and identities. de la Peña, Matt. Newbery Medal Acceptance Speech. Association for Library Service to Children, 2016. 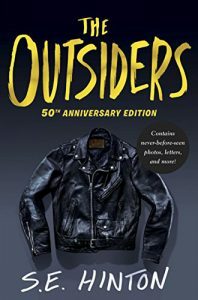 Hinton, S. E. The Outsiders, 50th Anniversary Edition. Penguin Books, 2017. Rodríguez, R. Joseph. 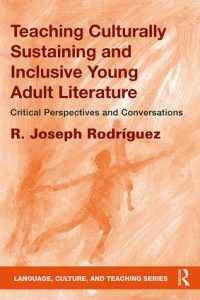 Teaching Culturally Sustaining and Inclusive Young Adult Literature: Critical Perspectives and Conversations. Routledge, 2019. We Need Diverse Books. 2016 Annual Report. WNDB, 2016. 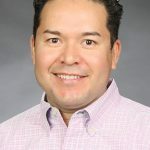 Joseph Rodríguez joined NCTE in 1996 during his senior year at Kenyon College. Since then, he has taught English and Spanish language arts in public schools and universities. Currently, he teaches in the Kremen School of Education and Human Development at California State University, Fresno. Joseph is the incoming coeditor of English Journal. Catch him via email at rjrodriguez@csufresno.edu or @escribescribe. Photo: California State University, Fresno, Office of University Communications.